Health officials say a patient in Texas has died of a rare brain disorder believed to be caused by consumption of beef products contaminated with mad cow disease. It is only the fourth known case of its kind in the United States. The Centers for Disease Control and Prevention says in a statement that recent laboratory tests confirmed a diagnosis of variant Creutzfeldt-Jakob disease (CJD) in the patient. There is no known treatment for the disease and it is invariably fatal. Symptoms start occurring years after the initial infection, and include neurological signs like unsteadiness, difficulty walking and involuntary movements. Within a matter of months, patients lose their ability to move or speak. The CDC says the Texas patient's history included extensive travel to Europe and the Middle East and that it is likely the infection occurred overseas. In each of the three previous U.S. deaths, the initial infection is believed to have taken place in other countries. Worldwide, the CDC says more than 229 variant CJD patients have been reported, with a majority of them in the United Kingdom and France. The Texas Department of State Health Services says there are no state public health concerns or threats associated with the case. State and federal health officials continue to investigate and are trying to track the source of the infection. The U.S. has had procedures in place for years to guard against the the disease in cattle, which is known as bovine spongiform encephalopathy (BSE), and prevent its possible spread to humans. A massive outbreak in Britain in the 1980s and 90s not only decimated that country's cattle but showed that eating BSE-contaminated meat could trigger a human version of the disease. A U.S.D.A. 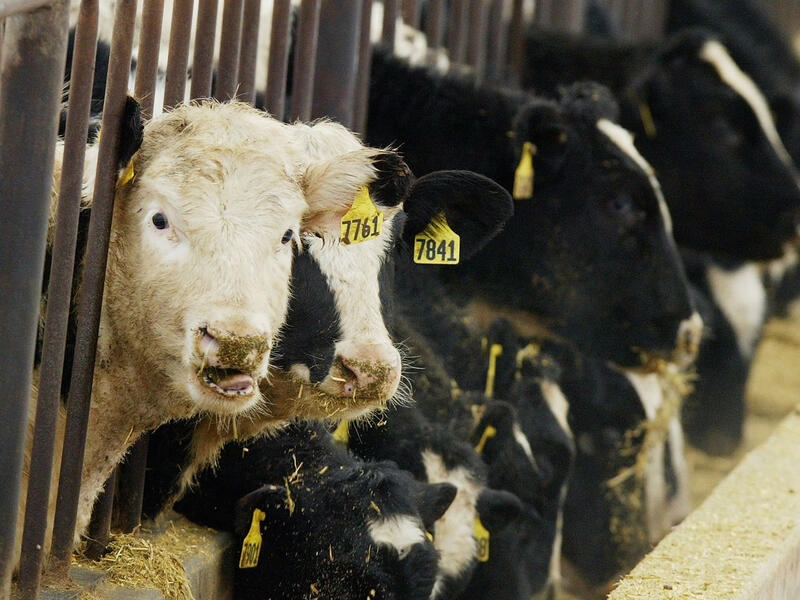 surveillance program tests brain tissue taken from about 40,000 dead cows a year for BSE. That testing is designed to target the animals most at risk. Another key part of the U.S. food safety net is to make sure that animal tissues that can carry BSE - including the brain and spinal cord - are removed from cattle before they're processed for food.